Found! The Grassroots: Let’s Live For Today | Brad's All Vinyl Finds! One of the great things about picking up a vinyl record is discovering that a band I thought I knew had more songs worth listening to than I was aware of. Let’s Live For Today (Dunhill DS50020, stereo), has more going for it than just the hit title tune. The Grassroots were a mid to late 60s band that had three or four hits on the AM radio airwaves that I liked back then. No, these tunes are not ahead of their time. The ‘roots sound is firmly planted in the dirt of 1960s AM pop, and I like it that way. You probably had to be listening to this music at the time to really enjoy it. I doubt anyone under the age of 50 would find it interesting now. 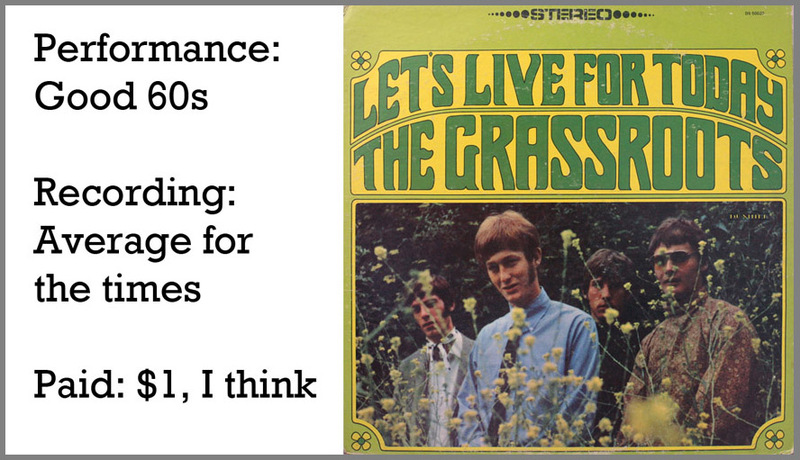 But if you’re of the age, there’s more to the Grassroots than their hits. Of the ten tunes (five per side), I found eight to be worthwhile. What stands out about the LP is the melodic nature of the songwriting, and the complexity of the chord structure that underpins the songs. Young songwriters tend to write overly simple two chord melodies. Those get tiresome quickly. Things I Should Have Said Today is a good example. The verse is three chords, the chorus based on another three, and there’s a bridge, too. Three chords are better than two? In the hands of better songwriters, the songs take you further with another chord. Rob Grill does most of the lead singing. Grill has a good voice for this sort of music. There’s a weight, a heft to his voice that works well. Is he Pavarotti? No, not even, but he’s good enough for rock and roll. There’s a fair amount of harmonies by the band, too, which fits right in with the times. Where Were You When I Needed You is a good example. House of Stone opens with a fuzz-boxed guitar lead that is one of those sounds that link it to the times. It’s a rocker that played loud can get you going. 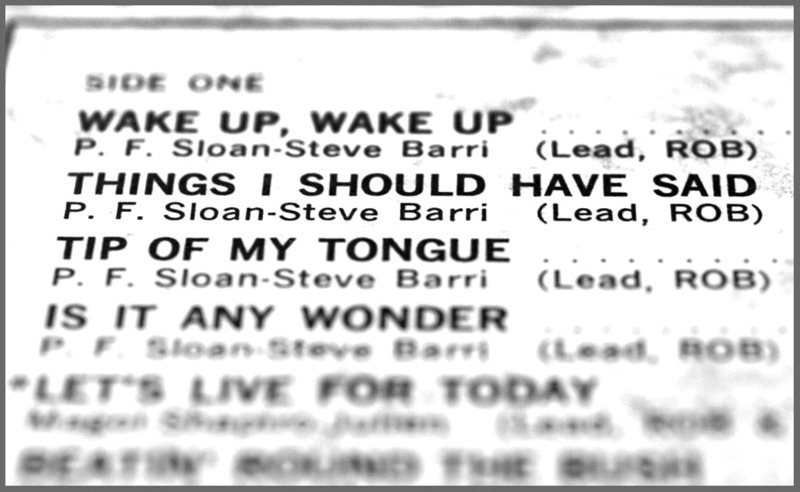 It wasn’t one of the band’s big hits, but perhaps could have been. Never heard of a fuzz box? It was a precursor to the heavily distorted rock guitar sound that quickly came to dominate rock and roll in the late 60s and early 70s. A fuzz box distorted the guitar sound, but it was a thinner, lighter sound than what came later. The hit tune is Let’s Live For Today. I can recall walking down the street and singing it to myself back in the day. The tune comes across as the most produced. They did more on this song to make it a hit. It’s a little more complicated than most of the other tracks. One of the giveaways that this is the 60s is the way Grill’s vocals are panned from one side to the other while he’s singing. You didn’t hear that effect much past this time period. Smoothly “moving” a track from left to right wasn’t possible when stereo was first invented, so I think the engineers of this time decided to play around with the new fangled panning control for effect. The pan knob allows you to move, or place the track to the left, right, or anywhere in between. As a kid, I loved the “Sha La La” lyrics of Let’s Live, the opening guitar lick and backing rhythm, and the backing vocals throughout. There’s a lot going on in the production of this tune and it all came together to make this a hit. The recording quality of the LP is nothing special. It sounds like early multitracking to me. The audio isn’t awful, mind you, but it won’t blow you out of the water. I’d call it compressed. The drums are hard left, for those of you who like or dislike that kind of thing. But nicely, all the instruments come through clearly. Nothing is really buried in the mix. If you like mid 60s stereo, this is a pretty good example. Lots of separation of the instruments left to right. I prefer this to modern mixes, where much of the song is mono, with a couple of items coming through in stereo. If you want the best sounding vinyl version of the song Let’s Live For Today, you’ve got to search diligently for another LP, a MCA title called The Vintage Music Collector Series #10 (MCA 25028), a compilation of hits. 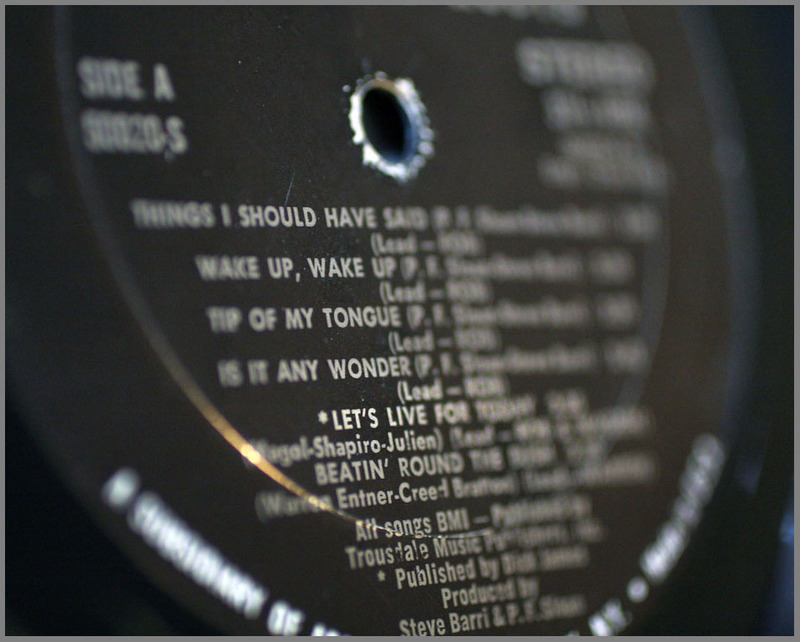 On that LP, Let’s Live is remastered by Steve Hoffman and sounds smoother and fuller. Less strident. I used to find this series in the dollar bins, but lately they’ve gone up significantly in price. 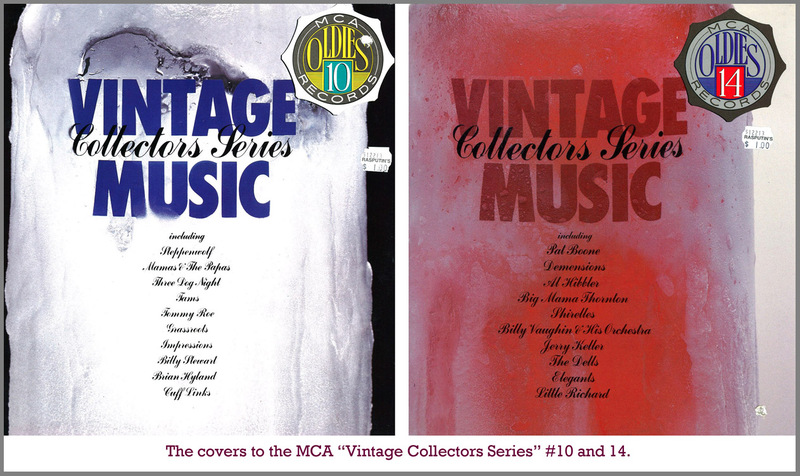 This MCA series of hit tunes of 50s and 60s songs contains great music, superbly remastered, often by Hoffman. They produced maybe 16 or more LPs in this series, and several are Hoffman’s work. You don’t know him? He’s one of the very best mastering engineers on the planet and I recommend the vast majority of his work (scroll to the bottom of my links page). Steppenwolf’s Magic Carpet Ride is on #10 and sounds great. The Strawberry Alarm Clock’s Incense and Peppermints is on #9, Bo Diddley’s Hey! Bo Diddley is on #4. I think Hoffman’s work on this series ends around #10 or so…not sure. Search this MCA series out! Like many of the musicians of my youth, Rob Grill died in 2011 of a stroke. A sad thing, I like the way the guy sings. But if you’re reading this post, you’re doing your part to keep it alive. Give Rob and the band a listen below! I like the cover art, how about you? ← Visited! The First KCSM Jazz Record Swap!